When Ariana Grande’s now massive hit, “Thank U, Next” hit airwaves at the end of last year, it could not have come at a better time. The anthem, oscillating between the pains of breaking up, self-love and a focus on the future solidified itself as a bona fide moment in a year teeming with cultural, political, and technological rifts and shifts. Aided by a nostalgia-soaked video with cinematic references from the early aughts that some of us (ahem) are old enough to have been thoroughly obsessed with the first time around, “Thank U, Next” became the look-back-but-actually-look-forward soundtrack to modern life we didn’t know we needed. 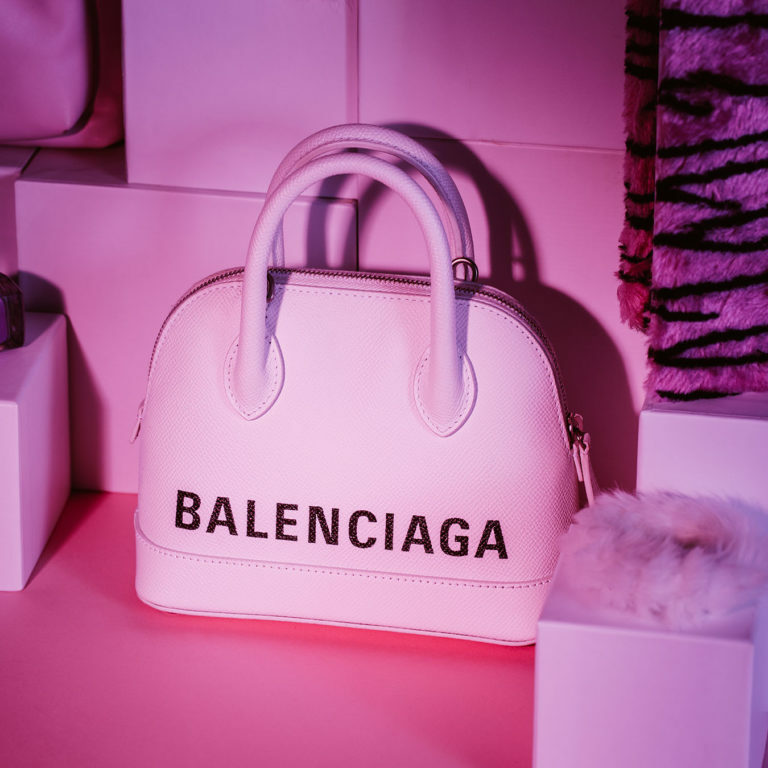 Fashion, as you know, is cyclical, and we’re currently living in a cycle keen on bringing back all the goodness of a more innocent, pink-hued time, so leave whatever you were carrying in 2018 in your burn book, put on your rose colored glasses and grab one of these bags to brighten up and round out your 2019 bag goals. 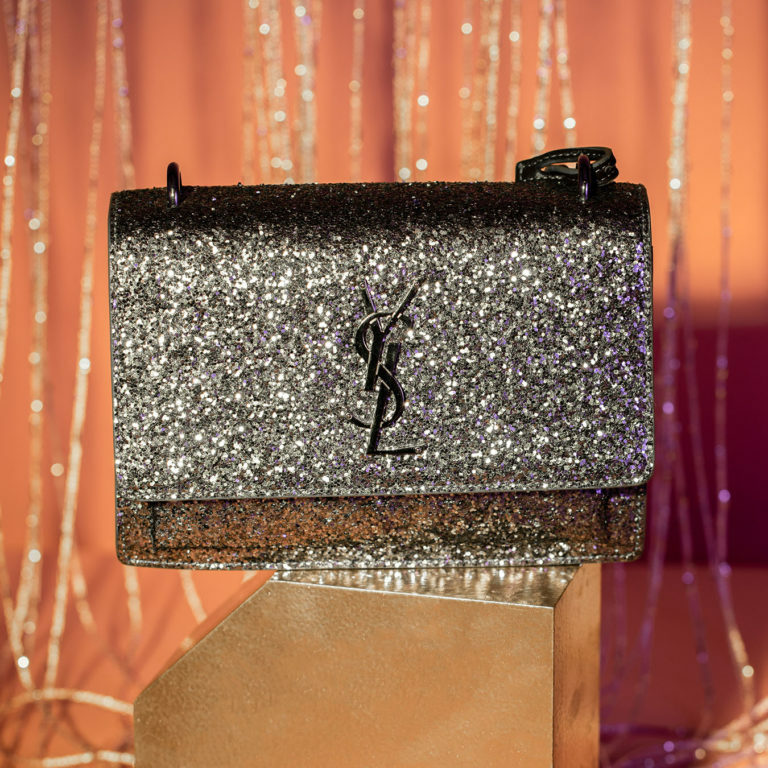 All that glitters is not gold but in this case, the Saint Laurent Sunset Glitter bag is a treasure for sure. This handbag features a top handle and a silver-tone hardware strap leaving you to decide if you’re in the mood for a handheld accessory or a functional yet glamorous crossbody. It’s fold over closure opens to a slip pocket under the flap, two internal compartments, and multiple card slots, perfect for a night out. 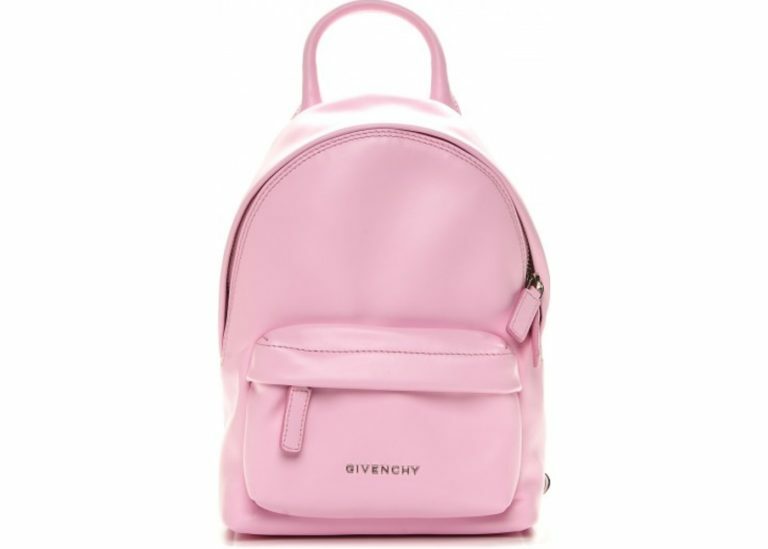 This Givenchy mini backpack just oozes millennial vibes. Perfect for travel, this backpack features a bright, baby pink calfskin leather. The exterior includes two zipper compartments, one small pouch for essentials, and the outer compartment for valuables. This classic Chanel Caviar wallet on chain is any girly girl’s dream. 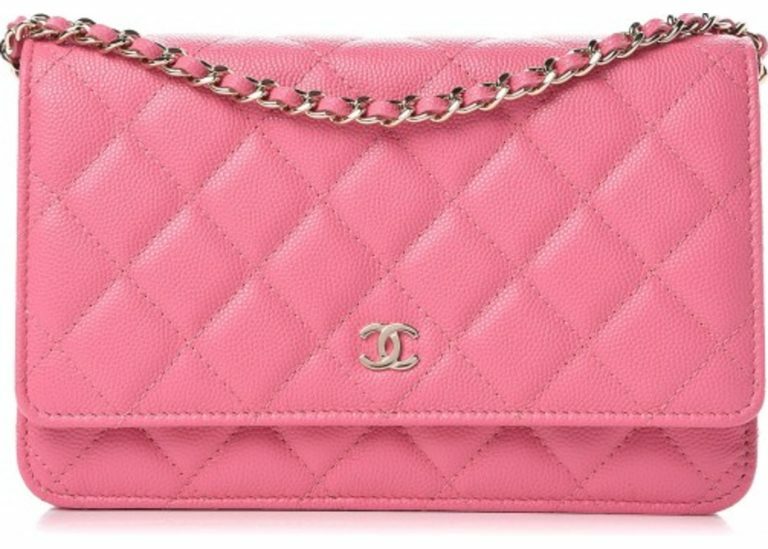 The bag features a bright, bubblegum pink caviar quilted leather. Gold-tone hardware covers the iconic “CC” pendant as well as the chain handle. An exterior pouch pocket is located on the back of the flap bag for credit cards and small essentials. The interior provides optimal space for valuables. The Valentino Rockstud Crossbody back is the perfect stylish, everyday piece. 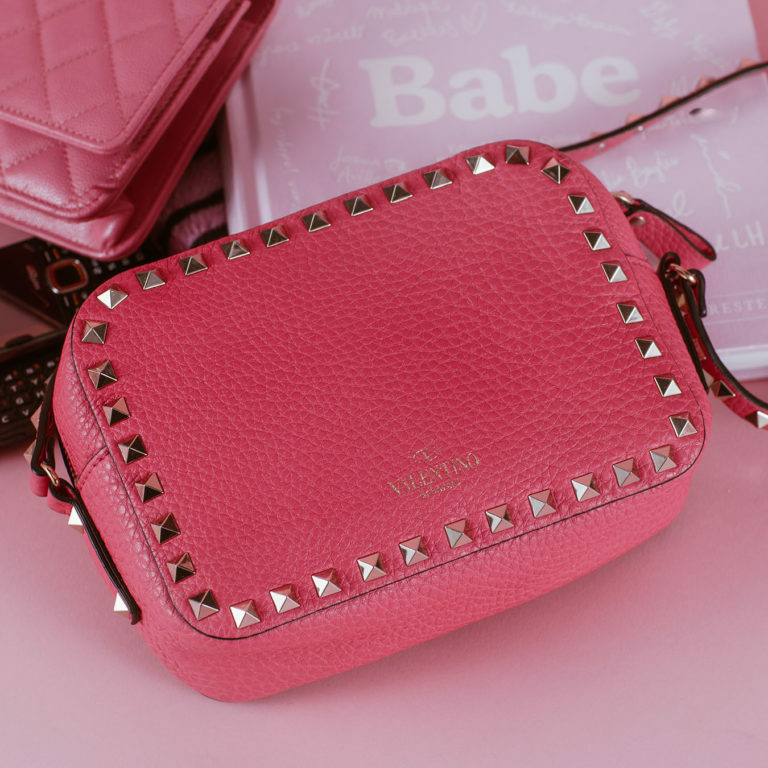 This bag features a hot pink pebbled leather with the iconic Valentino rockstuds stitched all along the frame of the bag as well as the crossbody strap. The design also features a single zip closure system covered in a gold-tone hardware and a roomy interior for essentials. 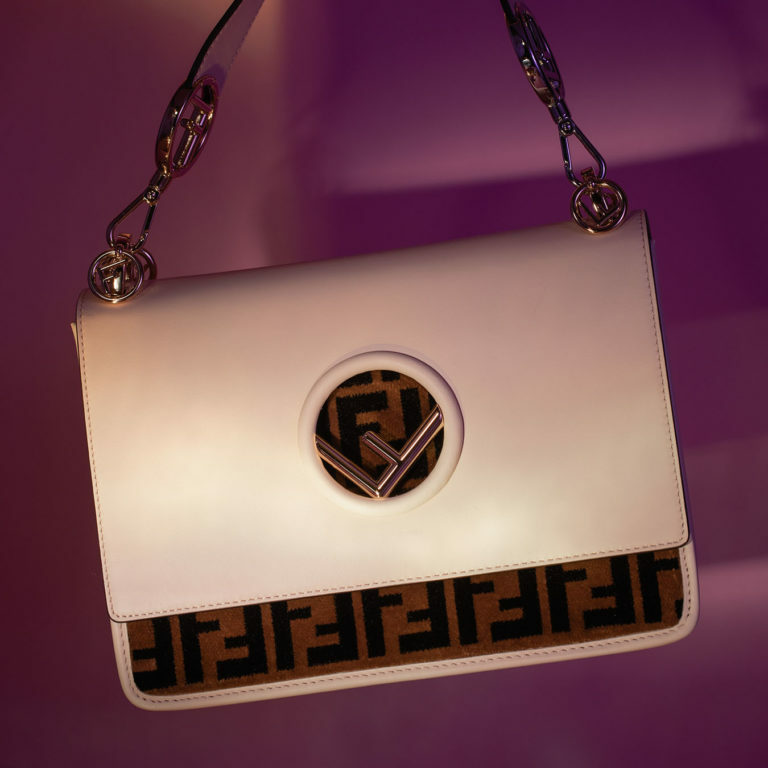 The Fendi Kan I F shoulder bag is a sleek, modernist accessory that can be worn on your shoulder or hand held by its top handle thanks to the removable shoulder strap that comes with the bag; a two in one. The strong structure of this handbag will always maintain its bold form despite how much you stuff it. Crafted of Italian calfskin leather, the Fendi Kan I F is sure to be a timeless staple in every closet. The Balenciaga ville top handle bag is on-trend with its charmingly teeny-tiny size. This micro bag features a milky white calfskin leather. 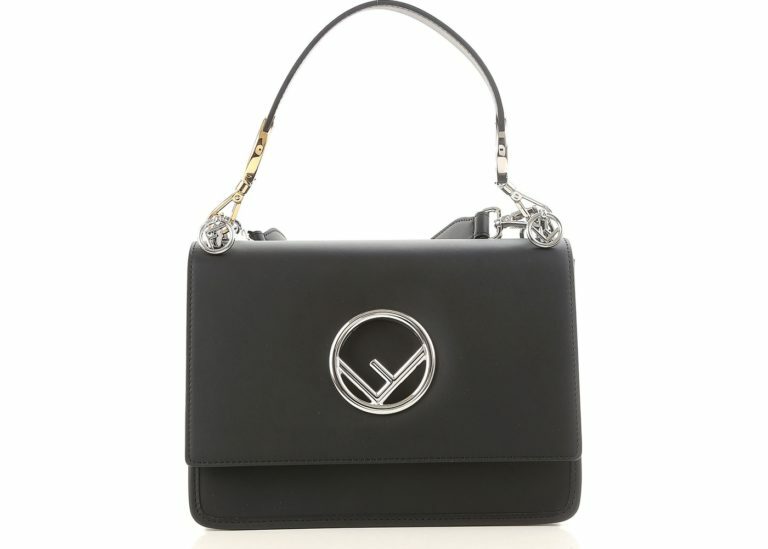 The design also features the “Balenciaga” logo mapped across the front of the bag in a bold, inky black font. Silver-tone hardware covers the the zip closure system and metallic pieces. 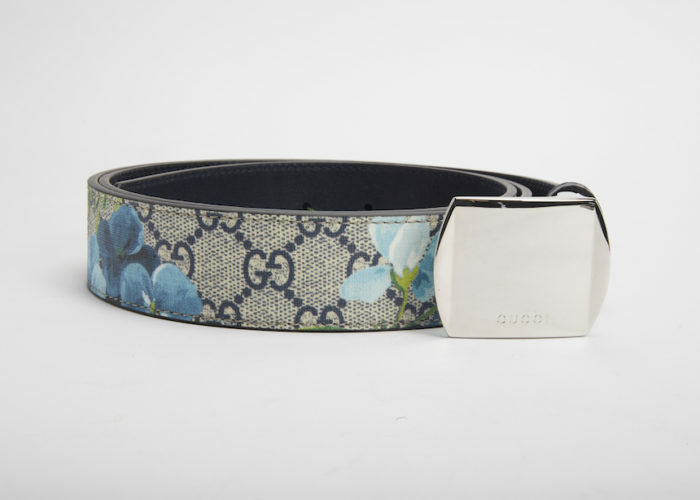 The belt bag that has made its way into fashion blogger’s closet and every music festival is the Gucci Marmont Belt Bag. 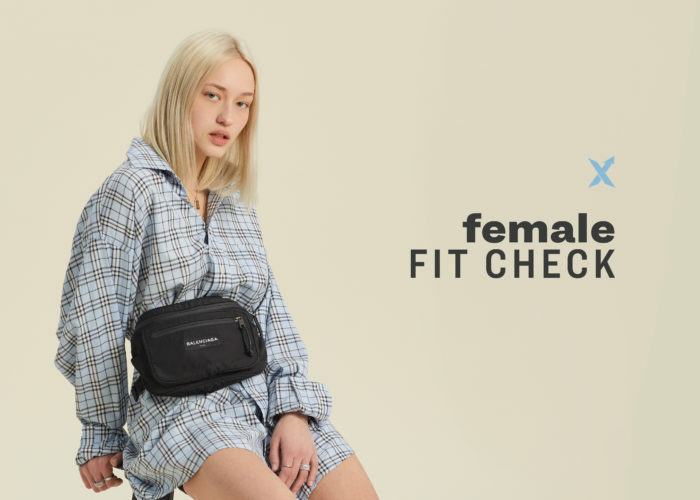 Combining functionality and fashion all in one accessory, this belt bag is one of the most coveted pieces of 2019 and beyond. The Fuchsia Velvet canvas will give you the extra pop of color you need in every outfit and adjusts to comfortably fit your waist size. 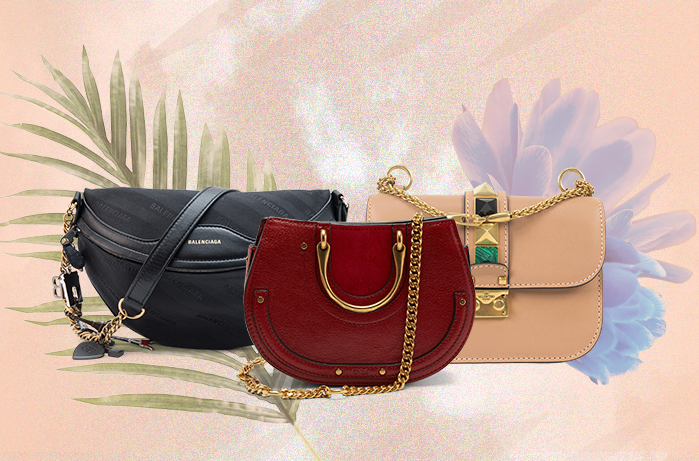 The bag unzips to a satin lining with enough space to fit all of your basics and beyond. This Kan I F bag features the new Fendi logo with hints of the classic Fendi monogram bringing classic luxury with a modern twist. The bright, light pink leather of this shoulder bag makes it perfect for day wear or a summer night out. The magnetic closure opens to a spacious, suede leather interior so you can have all your go-to necessities always available.